February is Black History Month so I am posting an email I received from the Human Rights Campaign addressing this topic. It will bleed into the right-hand margin. This is an organization that Eleanor Roosevelt helped to organize and I think they do a good job of highlighting our rights as human beings, regardless of our religion, the color of our skin or our gender choices. Yet, unfortunately, these aren’t the only issues we need to wrestle with. The Black LGBTQ community also faces a disproportionate economic disadvantage in both housing and unemployment … the increased impact of HIV … and a lack of quality, affordable healthcare, to name just a few. We must also keep electing pro-equality leaders committed to change, especially those that understand the critical interconnection of the fight for equality across marginalized identities. We will continue to amplify the work of civil rights organizations and advocates fighting racial, social and economic injustices. We will combat hate violence, systemic racism and oppressionin every way we can. I am writing this earlier in the month because I will be in Florida for 5 days, one of which is Valentine’s Day. 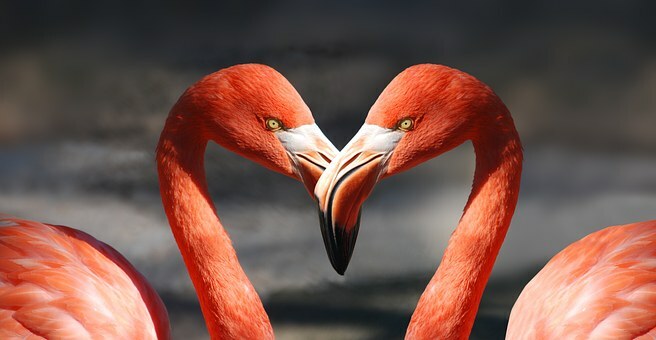 Since I met my husband Alan a couple of days before Feb. 14th and he called me on Valentine’s Day, this is a special day for me. But when I was single, I used this day to send love to friends and family, so whatever state of being you are in, celebrate with LOVE, LOVE, LOVE. 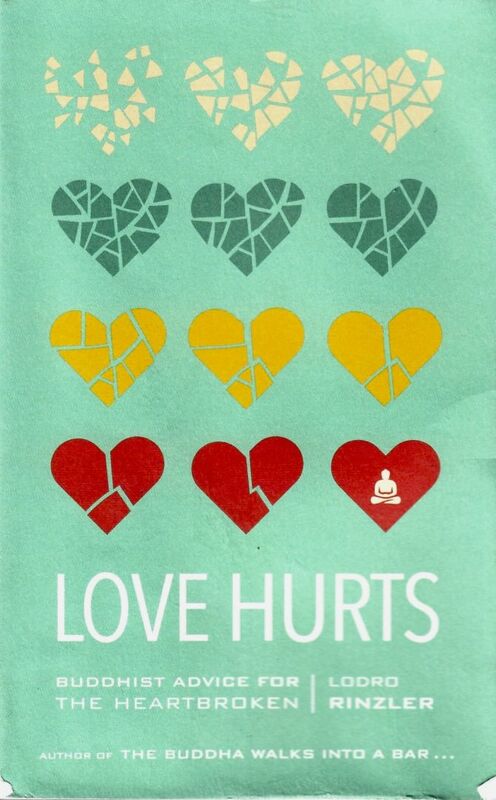 Speaking of LOVE, this little book by Lodro Rinzler is a terrific take on how to heal the wounds of love. 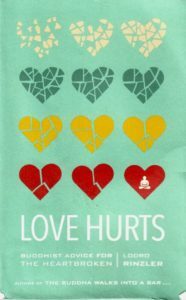 The subtitle is Buddhist Advice for the Heartbroken and I wish I had this book when I was going through my divorce, but this was published in 2016 by Shambhala Publications and my divorce was well before that. Each of these mini-chapters point to the healing process in simple terms, using many of the author’s own heartbreak examples. This would make a great gift for someone going through a break-up. At $12.95 you will learn a great deal about yourself as well as the pain you are going through and how to weather the storm of sadness of the death of a loved one or pain from a breakup. I read it slowly, because there’s a lot of info packed into 170 pages in a book only 4″ X 6″. PAck it into your tote or in a big pocket and read it as needed! I also cut and pasted info from the Internet about this day, and it included love stories in the movies, all of which I have seen except Love & Basketball. I would have to pick Casablanca and Dirty Dancing and Sleepless in Seattle as my three favorites, with Pretty Woman and When Harry Met Sally as runners up.